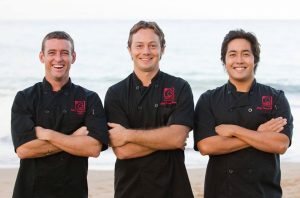 Co-owners at Three’s Bar & Grill in Kīhei, Cody Christopher, Jaron Blosser and Travis Morrin. Courtesy photo. 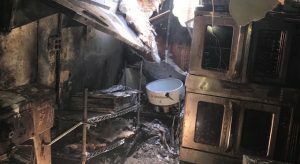 Three’s Bar & Grill is closing its doors for now due to a kitchen fire, which happened in the morning hours of Sunday, Oct. 23. 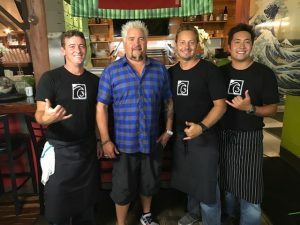 The restaurant at 1945 South Kīhei Road was opened by three chef friends, Jaron Blosser, Travis Morrin and Cody Christopher, in 2010. 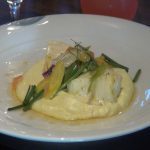 Three’s is known for its breakfast, lunch, dinner, raw bar and award-winning happy hour. Learn more in Maui Now’s story on Three’s here. No one was hurt in the fire, which caused damage to the kitchen. 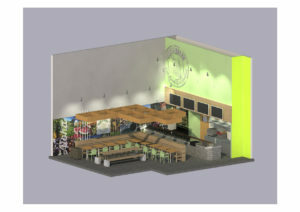 The owners also operate a wedding, event and boat catering operation, which will continue uninterrupted, thanks to their sister restaurant Fork & Salad, a healthy eatery that opened this summer in Kīhei. Owners say they are aiming to reopen in two weeks and are working tirelessly to get all of their employees back to work as soon as possible. Morrin adds they are doing their best to stay positive, plan to keep people updated on their progress and thank the community for their support and understanding during this challenging time.